Hello! I am Nancy Lewis-Moore. I am a business and personal budget builder and financial strategist. I love to help people with their juggling acts and most importantly help them from dropping the balls with their finances! I know it is tough out there and as an entrepreneurial mother of 3, I also know that we all have our own unique financial circus to manage whether it is personal income, business or both. Working with the public in our western community of Cochrane over the last couple of years, I have learned from so many that it is often difficult to know where to start taking control of your finances and spending. That is where I am a creative pro. I love to hunt through numbers and statements to find where you can save and how you can budget more effectively. From tax savings, to investigating interest rates, income and output analysis and even recommendations on costing and inventory control, I can manifest a plan to implement lasting change and even find spare change! From 1998 to 2010, I lived and worked in England, where I obtained my CIMA designation in 2004 (chartered institute of Management Accountants England and Wales), AAT diploma in 2002 (Association of Accounting Technicians), Bookkeeping Certificate 1998. Knowledge of tax laws and experience as a business analyst, brought me over to Canada where I continued working for SAIT as Senior Business and Financial Analyst for six years. In July 2018, I decided to put my experience and education (aka my assets) to work and offer bookkeeping, budget building, and accounting and financial services. Working collectively with my clients, I exercise a calculated and methodical approach to sorting their bean jars and managing long term solutions. My experiences thus far have helped me build a very amicable relationship with the CRA, the AGLC as well as seek debt relief in some serious financial mismanagement situations for clients. I am excited to have Vaneesa on board with Ellements Group. I met Vaneesa in 2004 when she was working in a practice that focused primarily on medical professionals and business owners. Seeing a large tax-free cash benefit paid to someone after the diagnosis of his critical illness ignited her passion to help more business owners and families. Vaneesa works with many successful professionals who care for their families and loved ones, but don’t have the time to devote to organizing their finances, protecting their ability to earn an income, and learn new ways to minimize tax. They love the work she does for them. 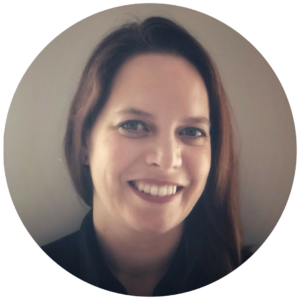 She consults with clients to simplify their financial life by building a solid and effective strategy tailored to enhancing their objectives based on goals and resources. 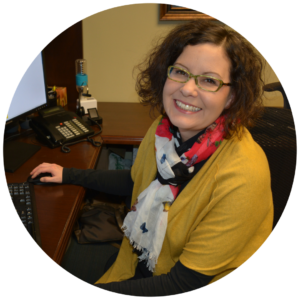 She has the care, knowledge, and expertise to help navigate the complex nuances of insurance. She also has access to the resources needed for advanced planning and sophisticated estate needs of wealthy individuals and business owners. I have always known her to be transparent and reliable with the knowledge and expertise in helping clients build their dreams and achieve their goals. Vaneesa’s clients have peace of mind knowing they are properly structured, and their wishes fulfilled. Through professional and personalized service, Vaneesa developed her expertise with a well-respected financial planning and wealth management firm in Calgary. She also has experience at a top-tier full-service brokerage firm working collaboratively with ultra-high net worth clients as an Associate Estate Planning Specialist. 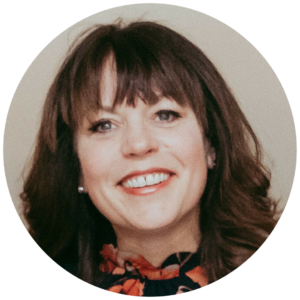 She has a Bachelor of Communications Studies from the University of Calgary and is a fully licensed insurance advisor. Vaneesa lives in Calgary with her husband Tom, a broadcast media professional and recognized contemporary artist. Vaneesa and Tom have family from coast to coast. She volunteers for the Calgary Folk Music Festival and has received special public recognition for going the extra mile. Committed to her practice, Vaneesa is a proud member of the Financial Advisors Association of Canada – ADVOCIS. As an independent fully licensed insurance advisor with one of Canada’s leading professional brokerages, she has access to a full range of comprehensive protection products from Canada’s best providers, including BMO Insurance, Canada Life, Manulife, RBC Insurance, Sunlife, Desjardins, Empire Life, Equitable Life, Industrial Alliance, Ivari and more. She also offers non-medical coverage from Assumption Life, Canada Protection Plan, and others. She generally recommends the carriers that offer the best price and the most value.